Carmela Martino is an author, speaker, and writing teacher who lives in the Chicago area. She wrote the middle-grade novel, Rosa, Sola, while working on her MFA in Writing for Children and Young Adults at Vermont College. The novel was named a Booklist "Top Ten First Novel for Youth" and won a Catholic Press Association award in the Children's Books category. Her other credits for children and teens include short stories and poems in magazines and anthologies. 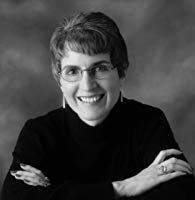 Her articles for adults have appeared in such publications as the Chicago Tribune, Catholic Parent, Writer's Digest, and multiple editions of the annual Children's Writer's and Illustrator's Market. Carmela has taught writing workshops for children and adults since 1998, and she blogs about teaching and writing at TeachingAuthors.com. You can read more about her at carmelamartino.com and follow her on Facebook at facebook.com/carmelamartinoauthor.